If you have a home in Fayetteville that needs landscape lighting to enhance the beauty of your yard and make it safer at night, you are probably looking for ideas. As professional Fayetteville landscaping contractors, we usually start with a rough sketch of the house and the yard in order to design a well-defined lighting scheme. 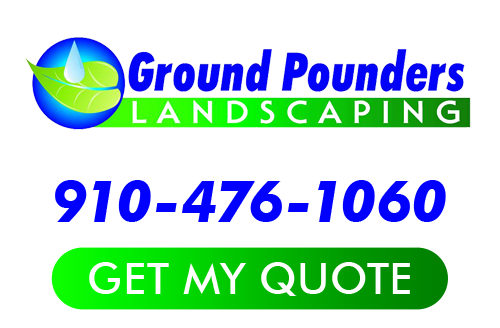 Ground Pounders Landscaping, Inc. regularly helps Fayetteville homeowners with landscape design. Here are a few tips you’ll want to know about designing a lighting scheme that’s practical and beautiful. Structural plants, or ones that grow upward, would be great to place uplights on to emphasize the silhouette of the foliage. Choose the kinds of plants that will thrive all four seasons such as ferny plants and green sturdy plants that could survive hot and cold temperatures. Downlighting lights your landscape with a more soothing ambiance because it illuminates a wider area. Lamp posts will gently light areas such as bushes, benches, and fountains. 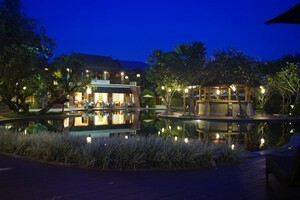 You can make more landscape lighting design using low voltage outdoor lights. Low voltage outdoor lights can be installed using 12V that you can easily do own your own with relative ease. In using 12V electricity, you need a transformer to convert the output from 110 to 12 volts which should be plugged into a GFCI outdoor outlet so you can add additional lights on the same cables. Instead of adapting existing fixtures, you could change out the outdoor fixtures if you prefer to make them more stable and permanent. While you can do some of the easier tasks on your own if you have the skills and experience, it is still necessary to consult with a Fayetteville electrician and have them do the work for you as any project that has to do with electricity has to be handled with care. Saving a few bucks by doing things yourself may prove to be even more expensive in the long run, especially when the job is not done well or you catch your house on fire. If you would like to learn more about Outdoor Lighting in Fayetteville, please call Ground Pounders Landscaping, Inc. at 910-476-1060 or fill out our online request form.